Dubai: Thundery rain woke up residents of Ras Al Khaimah early on Wednesday, as the unstable weather this week brings strong winds kicking up to 9-foot waves off the UAE on the Arabian Gulf, weathermen said. 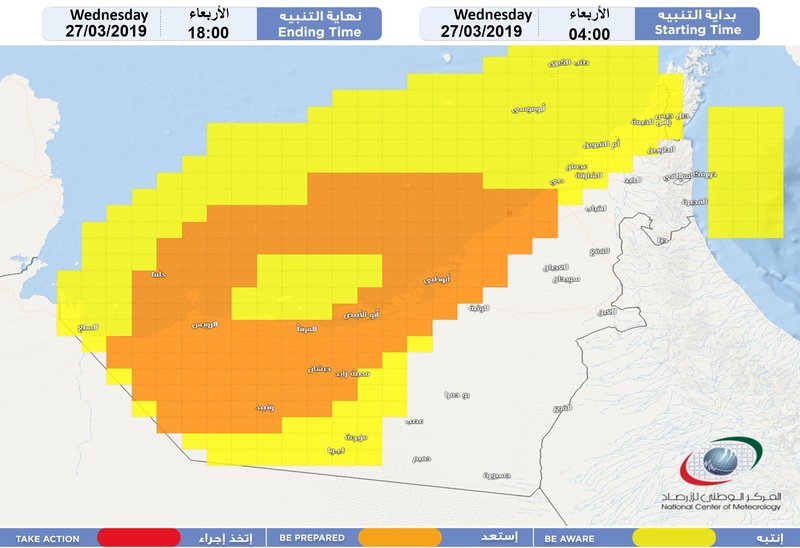 The National Centre of Meteorology also reported light to moderate rain in Abu Dhabi, Dubai, Sharjah, Ajman and Umm Al Quwain early on Wednesday. More convective clouds, thundery and rainy at times, are expected to develop during the day, with fresh strong winds reaching up to 60km/h. Meteorologists also warned residents of blowing dust and sand overland, cutting visibility to less 2000 metres at times. Residents were also advised take extra caution as the country will be experiencing unstable weather.